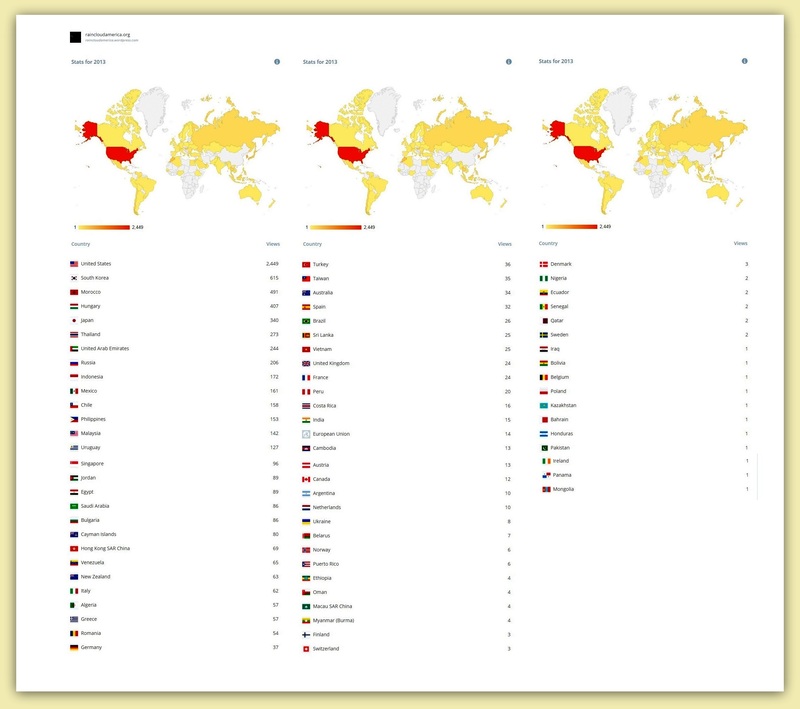 The following images illustrate Rain비 Cloud America Worldwide’s Wordpress website statistic from June 2013-June 2015. We would like to thank all our visitors to our website, and for helping us to support Jung Ji-hoon aka Rain. 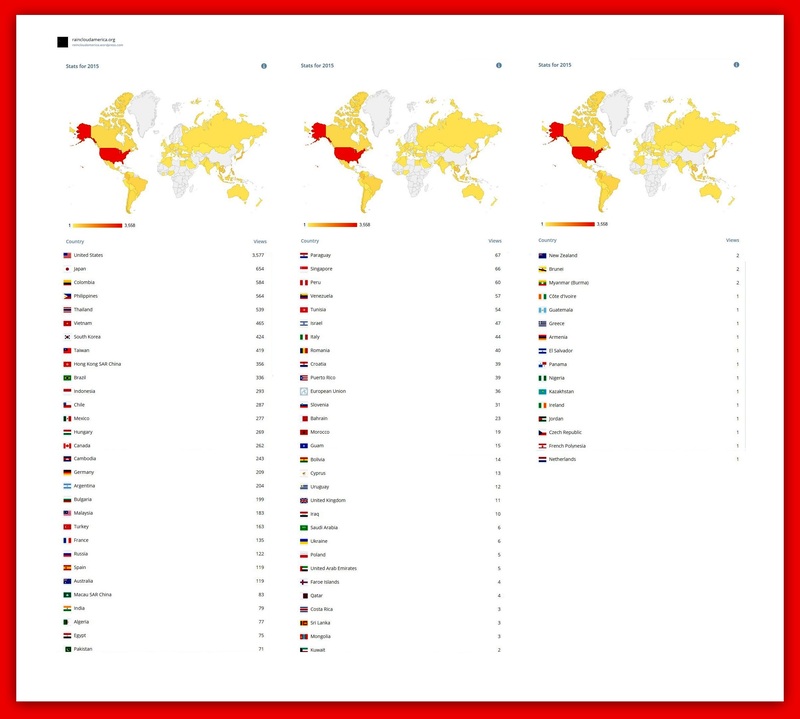 As you can see from the statistics above, RAIN is receiving support all around the globe. 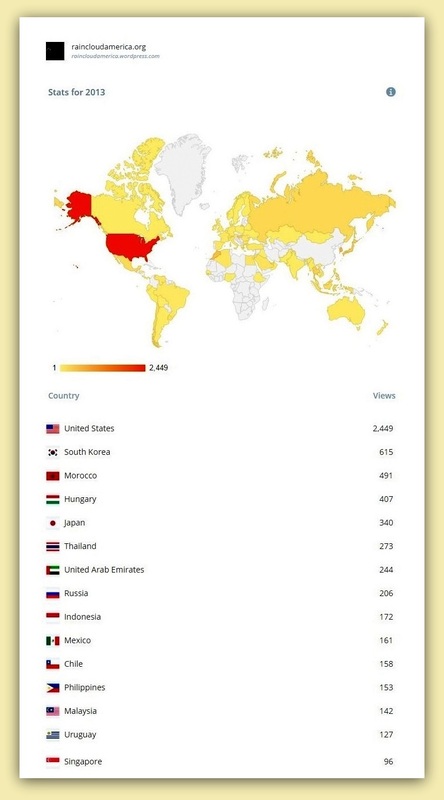 With the USA being Rain’s largest fanbase on our WordPress Website, and our Sister Clouds in Thailand consistently remaining in the top 10 from 2013 through 2015 [shown below]. We humbly thank them for their continued love and support for Rain. We are overjoyed to see the rising popularity and appreciation for our brilliant Star Rain. Over the past year we have seen a small, significant increase in the Scandinavian countries of Denmark, Sweden, and Norway. 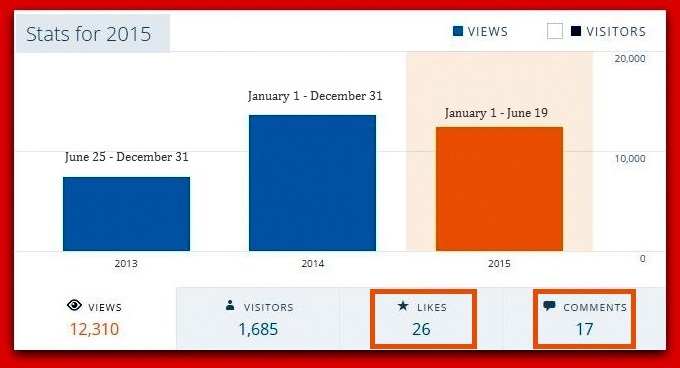 With our worldwide networking, we hope this will also increase in the years to come. We will only be happy, when every person, in every country across the globe, knows about our amazing Rain aka Jung Ji-hoon! 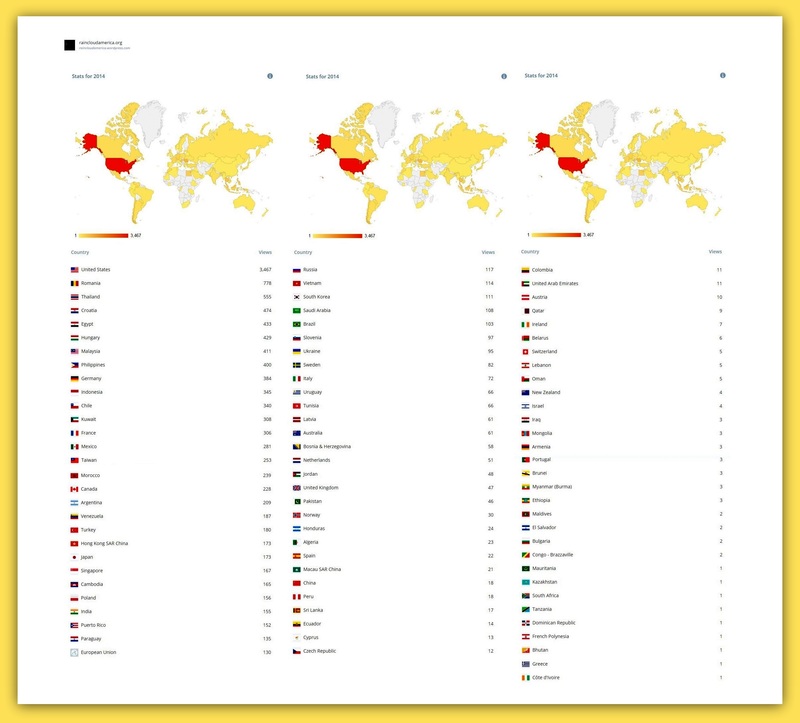 Furthermore, due to the increased interest in many countries, we will endeavor to add more language translations in future. We realize that google translate is still in it’s learning stages, and will provide increasingly better translations in future. We thank you, as always for your patience. These statistic are largely due to Rain’s Cloud Family around the world, especially our Loving and devoted Cloud Sisters on FB, Twitter, Instagram, etc. Yes indeed we are getting the views and support for Rain, and we thank everyone from the bottom of our hearts for all this wonderful support and devotion for our beloved Rain. Having said that, we still lack support for our Cloud. 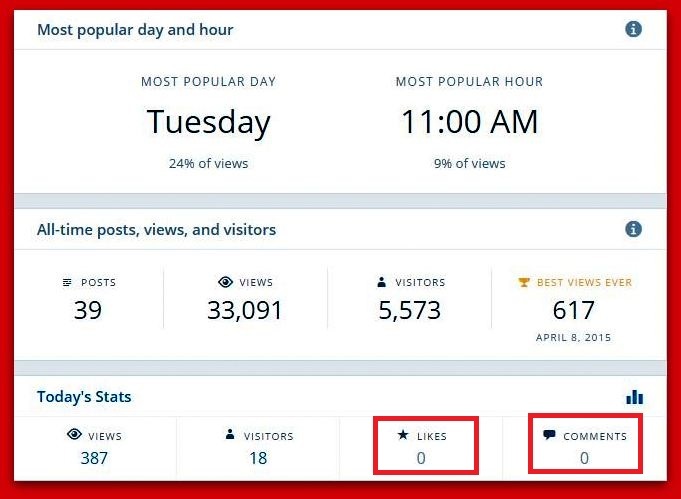 We are getting views, but ‘Likes’/ ‘Comments’ on our Pages/ Posts is still way too few, as you can see fro the illustrations below.